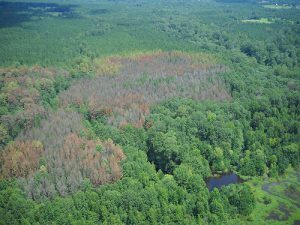 To help combat the invasive Southern Pine Beetle, which is currently present in 52 infestation sites throughout six Florida counties, the Florida Forest Service is accepting applications for the 2018 Southern Pine Beetle Assistance and Prevention Program from non-industrial, private forest landowners through June 29, 2018. 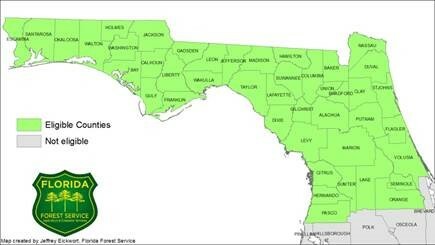 The program is limited to 44 northern Florida counties, the known range of the southern pine beetle. 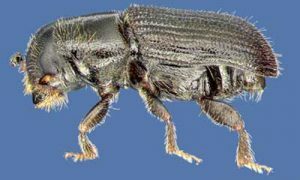 The southern pine beetle is one of the most economically devastating forest pests of the southeast, with periodic outbreaks leading to deaths of millions of pine trees. In 2017, 260 SPB infestations were reported in Florida, killing trees on 1,768 acres. This pales in comparison to the last major outbreaks between 1999 and 2002, which caused an estimated $59 million in timber losses. Since it was first offered in 2005, the program has been implemented on more than 183,000 acres and helped thousands of landowners. The Southern Pine Beetle Assistance and Prevention Program, supported through a grant by the United States Forest Service, provides incentive payments for landowners who conduct a first pulpwood thinning and offers partial cost reimbursement for activities, such as prescribed burning, mechanical underbrush treatments, and the planting of longleaf or slash pine rather than the loblolly pine, the beetle’s preferred species. Qualified landowners can apply for up to two different practices per year, and funding requests may not exceed $10,000. All qualifying applications received during the submission period will be evaluated and ranked for approval. To obtain an application or to learn more about the Southern Pine Beetle Assistance and Prevention Program, visit FreshFromFlorida.com/SouthernPineBeetle/Prevention.